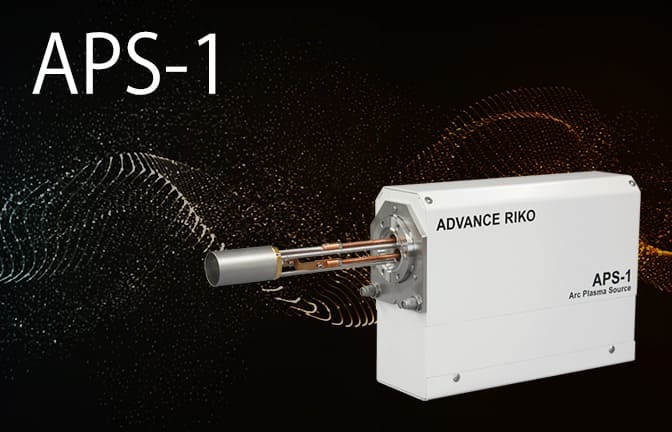 Arc-Plasma method nano-particle Deposition System APD series | ADVANCE RIKO,Inc. Pulse vacuum arc deposition is a unique technique to deposit ultrathin films and nanoparticles by generating metal ions in a simple process. 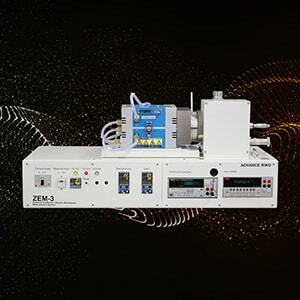 This system can achieve high in terms of film flatness and particle fineness, which is impossible with other systems. Any conductive materials (targets) can be converted into plasma. Nanoparticles supported by this system show highly active catalytic effect compared with ones produced through wet process. After chamber evacuation, a trigger induces an arc discharge on the surface of target rod. 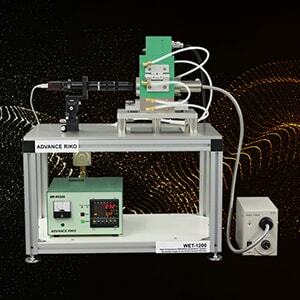 Then highly ionized metal plasma is generated from the target rod without any discharge gases, and deposits on the substrate to form various thin films and nano-particles. 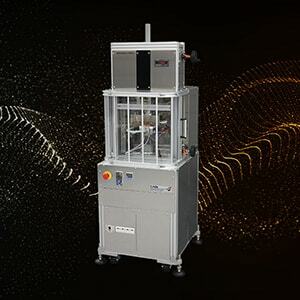 The system can select nano-particle diameter within the range of approx. 1.5nm to 6nm by changing condenser capacity. The system can make any material plasmatic in case they are electrically-conductive materials(target). 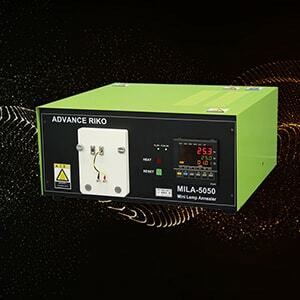 The system can readily generate oxide and nitride by changing atmosphere. Also, when graphite is discharged in H2 gas, it generates UNCD(Ultrananocrystalline diamond). The nano-particles supported by the system shows active catalytic effects as compared with wet process. 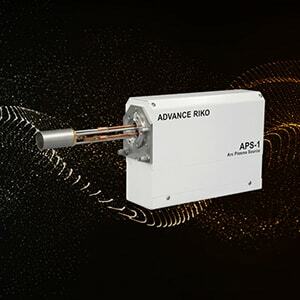 Model APD-P supports nano-particles to powders. 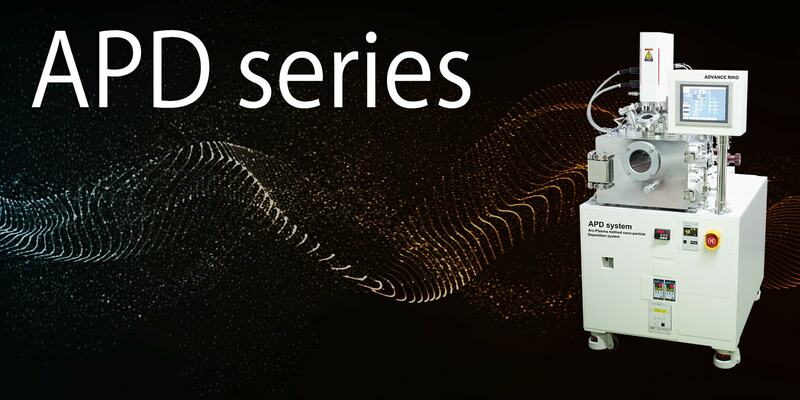 Model APD-S supports nano-particles to 2-inch substrate. *The above-mentioned 1, 3 and 4 depend on literatures. Pt and Pd catalysts supported to CeO2 with Arc-Plasma method show higher catalytic activity for CO oxidation as compared with catalysts with conventional wet process. The difference in energies largely contributes to the generation and function of nano-particles. Transparent conductive oxide layer-less dye-sensitized solar cells consisting of floating electrode with gradient TiOx blocking layer"